Capricorn Dec. 22nd - Jan 19th Hey there Capricorns this week the divine is speaking to remind you it's important not to spend too much time and effort thinking about the "good old days." We all have happy memories to reflect on from time to time, but if we start thinking that the "best of all years have gone by", create new situations evoking a new behavior which makes the original false conception come true. Aquarius Jan 20th – Feb 18th Hey there Aquarius this week the divine is speaking to remind you to get clear, about what success means to you and about what your goals will look like when they are met by achieving all that you desire. This is not the time to allow your goals to be amorphous. If they are, you will never meet them. Be specific. Spend some time journaling down some short term thoughts about the goals you would like to reach. Pisces Feb 19th – Mar 20th Hey there Pisces this week the divine is speaking to you to remind you that what you are hoping for or dreaming about most is very likely to be yours – in a brief period of time, generally. The appearance of the divine is a portent of happiness, and good things are about to come. It also means that what you want is likely to come into being in your life. this is a great week to work with your pendulum asking many yes/no types of questions, you will see most of the indicators of "yes", but like everything else in life nothing is carved in stone. Aries Mar 21st – Apr 19th Hey there Aries this week the divine is speaking to you to remind you things are looking up! It is all about new beginnings which mean new things to fall in love with and enjoy the start of new beginnings in all areas of your life. You should be feeling good about life in general. This is a great time to make friends. Taurus Apr 20th – May 20th Hey there Taurus this week the divine is speaking to you to remind you new beginnings and great expectations are on the horizon for you. You have the power to make a difference, in your life and in the greater world, if you simply make a point to try. This is actual transformation of the literal and figurative world in normal ways. You are not going to have it all handed to you on a plate, but you have the potential to have that plate and a lot of what's on it if you do the magic yourself. You may notice many synchronicities, which point towards deep, spiritual events taking place regardless of the importance of their superficial appearances. You should be finding that you have the knowledge, strength, and inspiration needed to meet your challenges. Gemini May 21st – Jun 20th Hey there Gemini this week the divine is speaking to you to remind you that it may be that the time has finally come where you are truly ready to open yourself up to a deep, meaningful partnership - and this can be on a personal or professional level. However, you will need to keep an eye on the other aspects of your life, all business, all love, etc., makes for an imbalanced and thus eventually problematic life. However, beware putting too much emphasis on any one partnership. You have several that need to be priorities in your life. 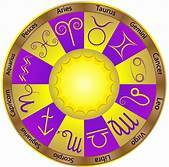 Cancer Jun 21st – Jul 22nd Hey there Cancer this week the divine is speaking to you to remind you to be open to unexpected good fortune because it could be heading your way. There may be an upcoming celebration; in any event, joy is likely to be in the air. That doesn't mean to throw away all your hard work and simply sit back. All good things are added to when we make efforts and when we make a point to share and give to others, in whatever way we can. Just do your best. Leo Jul 23rd – Aug 22nd Hey there Leo this week the divine is speaking to you to remind you that you are holding on to things, people, money, or situations far more than you should for your own well-being and peace of mind. Time to move quickly through the fear-based clinging they have been exhibiting and suddenly learn to be more open, more generous, and more aware that fear solves nothing. Making a point to think positively will help. It's time to relax and to remember that you cannot control what others choose to do. We all have free will. Focus on your own choices. Virgo Aug 23rd- Sep 22nd Hey there Virgo this week the divine is speaking to you to remind you are beginning to make many choices so put them down into a journal and go with them and to move toward taking actions. You are truly making choices that need to be made and are moving toward concrete and important actions for positive changes. Trust your gut; you've probably already realized that you have to start somewhere. Do so, and you will thrive. Libra Sep 23rd – Oct 22nd Hey there Libra this week the divine is speaking to you to remind you it's important to remember that not everything you are dealing with is a direct result of your own actions or karma. Sometimes you will be called upon to deal with the results of the actions of someone you care about, and this can sometimes be as difficult and demanding as it is when you're up against something that is completely of your own making. Time to evoke the need for fairness, balance, and harmony. Operate in a balanced and reasonable fashion as you can. This includes in how you think about and treat yourself. Don't blame yourself for anything unnecessarily beyond your control. Scorpio Oct 23rd – Nov 21st Hey there Scorpio this week the divine is speaking to you to remind you there is a need to play, to dream, to have a little fun. You have been taking yourself far too seriously. The Divine indicate that someone who is younger than you is coming your way with a message for you. Be sure to recognize the difference between taking one's work seriously and taking one's self seriously. This will help you make good decisions that arise. Sagittarius Nov 22nd – Dec 21st Hey there Sagittarius this week the divine is speaking to remind you how unhealthy it is to jump to conclusions, as well as decisions and judgments which are too hastily made and should, change this. If you are prone to such things, this is a clear signal to slow down and give things more thought (and to give people “more chances.”)This can be a real time of spiritual awakening. If others are making these kinds of decisions about you or about someone you care for, there is really very little you can do, apart from realizing that it’s their problem, not yours. Sometimes even judgments which look at first to be completely unfair, actually work out to be for your highest good. Control what you can and ignore the rest.